2011 Annual July Fore Golf Tournament. 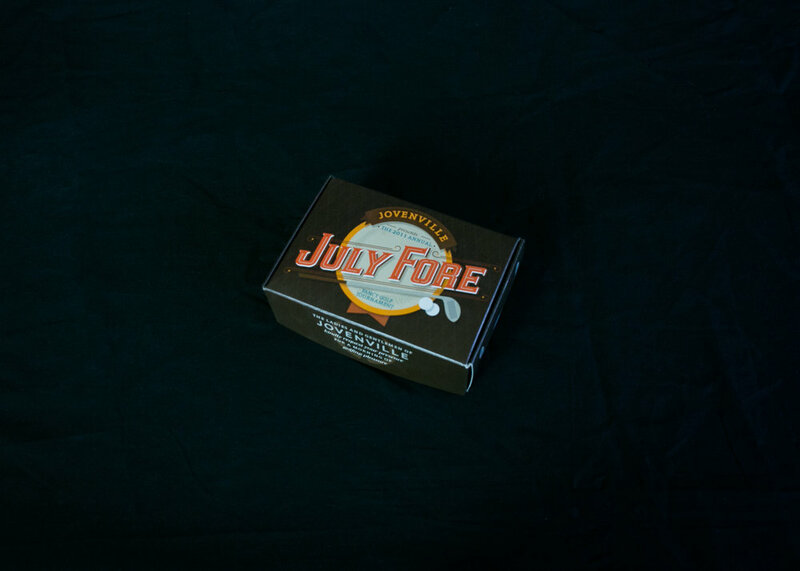 Packaging contained a bowtie that encouraged attendees to wear bowtie for a fancy golf tournament. Self Promotional flyer mailed on Cinco de Mayo. 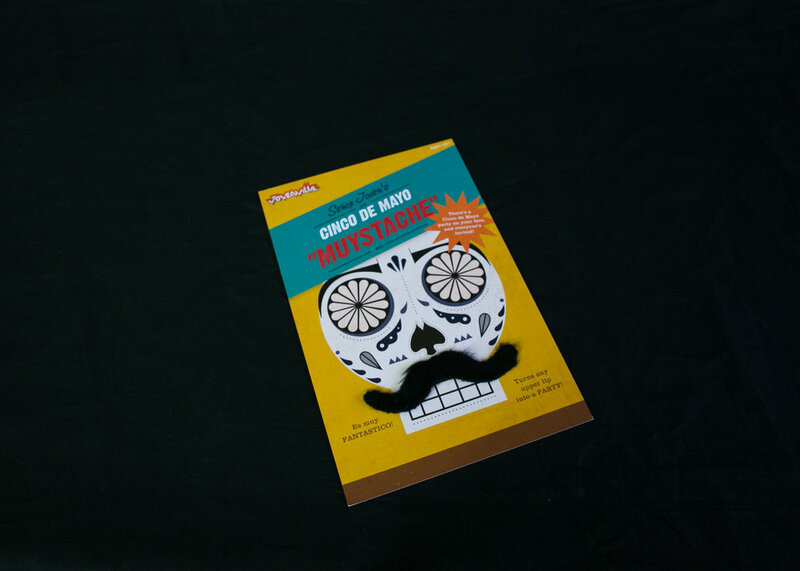 Flyer sent to clients with removable mustache. Encouraged clients to get silly with the mustache and post their favorite looks on social media. 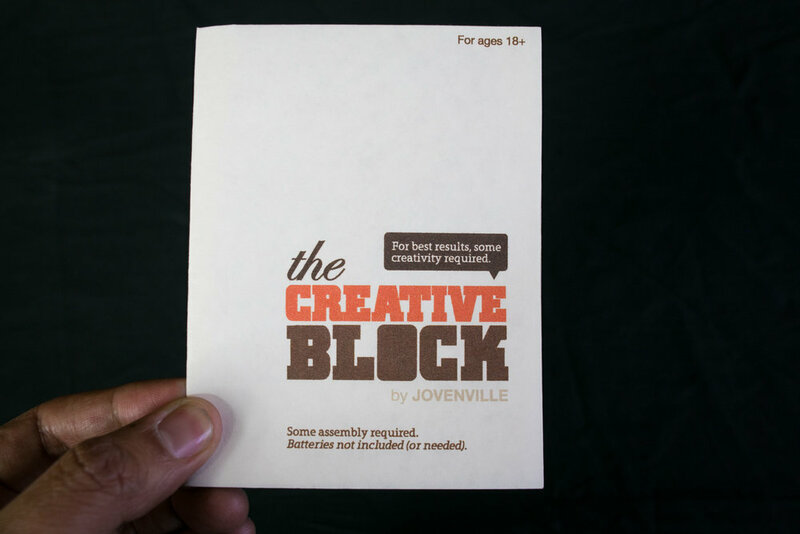 First project designed for Jovenville was to figure out what to do with a box of thin wood slabs. 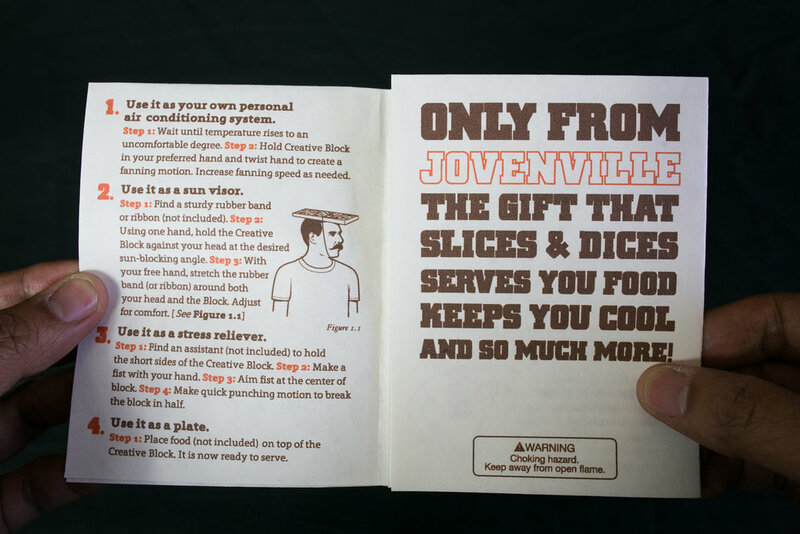 The Creative Block was born when we thought of a dozen silly ways of using the block. 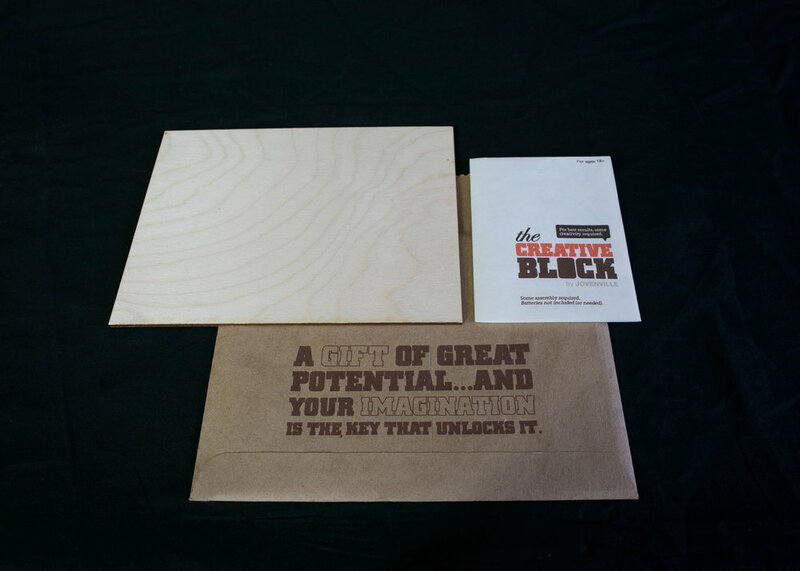 This was sent out to clients and encouraged them to think of other fun ways to use The Creative Block.